Witty insider beauty must-haves all with a celebrity twist! 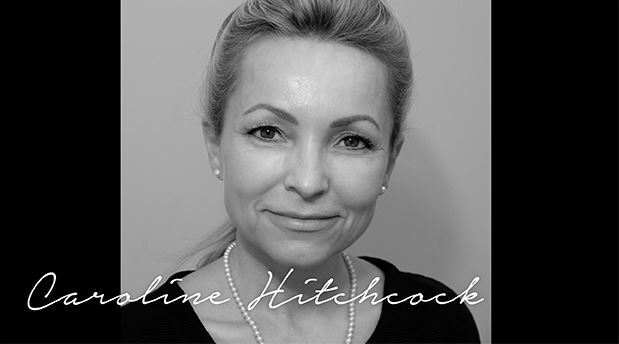 She has over 25 years of experience and in-depth knowledge of an array of skin concerns ranging from hormonal acne, to age defying treatments. Anti-ageing facialist Caroline Hitchcock cares for many famous faces and this week talks to the Celebrity Beauty Stalker. 1. What is your skincare philosophy? 2. Have you ever suffered from a skin complaint? No, nothing major, apart from the odd minor irritation. 3.What do you use on your own skin? I am constantly ‘test-running’ new products for efficacy but my daily routine will consist of a facial cleanser, an eye cream, followed by an antioxidant serum, then a moisturiser containing active ingredients such as Hyaluronic acid, to maintain hydration levels throughout the day, followed by a finishing layer, a tinted CC cream with SPF, like the Eucerin Hyaluron-Filler CC Cream with SPF 15, (priced at£28, 50ml) for an even tone and protection. 4. What is your ultimate skincare tip? My ultimate skincare tip would be to start looking after your skin from your teens upwards to prevent future aging from pollution and photo-damage. A good hot cloth cleanse in the morning and night time especially, followed by a protective moisturiser is a good starting point, progressing to more active ingredients from the 30s onwards. Also consult a reputable Facialist to improve your complexion and for advice on the right homecare regime to suit your skin’s needs, as these are constantly changing. 5. How did you start as a beauty guru? I began my career by Training at the Steiner Beauty School in London’s Grosvenor St, over 25 years ago, where candidates were given strict training in deportment, etiquette and personal grooming as well as excellent beauty training in all aspects of Beauty Therapy and human biology theory. Upon Graduation, I worked in London, Dubai and the U.S, gaining experience and further knowledge from various mentors already established in the industry. 6. You’re a renowned anti-ageing facialist. Why did you choose to specialise only on skin? In the nineties I took a role as Senior facialist in a French Beauty/skincare clinic based in Dubai, where I learned to treat a vast array of skincare conditions, from different types of acne, pigmentation to severely sun damaged skin, within a very cosmopolitan society. In the early days of my career only basic skincare products and treatments were available but in the last decade or so science has advanced so much, with the development of cutting edge, Biomimetic ingredients such as peptides, antioxidants and Hyaluronic Acid means that we really can repair, replace and even reverse the effects of aging skin, avoiding surgically invasive procedures. As a Facialist, who is passionate about skin, it’s a very exciting challenge to be able to improve and perfect clients’ complexions and see the results month on month. With a combination of manual and machine based techniques, coupled with the application of active ingredients great results can be achieved. 7. Tell us about your at- home anti-ageing regime and the products you suggest? I practise what I preach so I will use an oil based cleanser in the evening and remove with hot damp sponges, followed by either an antioxidant oil such as Nubo Bien Etre, or a Hyaluronic Acid night cream such as the Eucerin Hyaluron-Filler Night Cream (£26.00, 50ml) which has a wonderful rich consistency, perfect for a really intense overnight hydration and protection from ‘sleep wrinkles’. 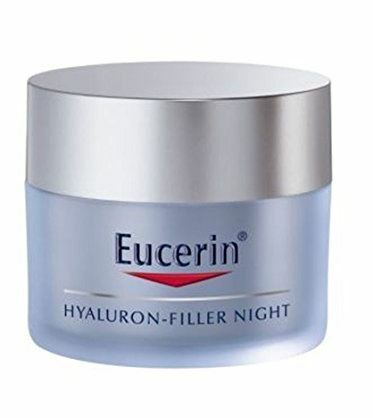 During the day I will start with a face wash, an eye cream, then an active serum with vit C & E plus peptides, or an HA based serum concentrate, followed by a light moisturiser containing actives, I like Eucerin HA (£26, 50ml) for normal or combination skin as it keeps my skin hydrated all day without feeling oily or alternatively I will use the Eucerin CC Cream. I don’t wear foundation but will use a bit of concealer (red diffuser by super cover) . Once a week I will exfoliate with my own homemade concoction of organic coconut oil and some other secret ingredients! I will always use a factor 50 on face, neck and décolleté area when in the sun. 8. Do you have any celebrity clients? Over the long span of my career I have worked on the skins of many high profile celebrities, aristocracy and regular people alike but I think they would prefer to remain anonymous unless of course they choose to compliment me with a testimonial! 9. Do you believe we are what we eat? Absolutely! I tend to apply logic to most things. If you have a bad diet of processed foods, excess sugar, starch, saturated fats and alcohol it will definitely catch up with you and your skin will display signs of this. Clean, lean unprocessed foods and lots of water is best. The 80/20 rule can work well for a good balance. 10. What is the one beauty product that you can’t live without and why? I always get asked this question and find it impossible to answer being a product junkie! One needs to cleanse, nourish and protect so there are 3, but I guess if it has to be one it would be an antioxidant, oil based cleanser that left your skin both clean and hydrated in one.